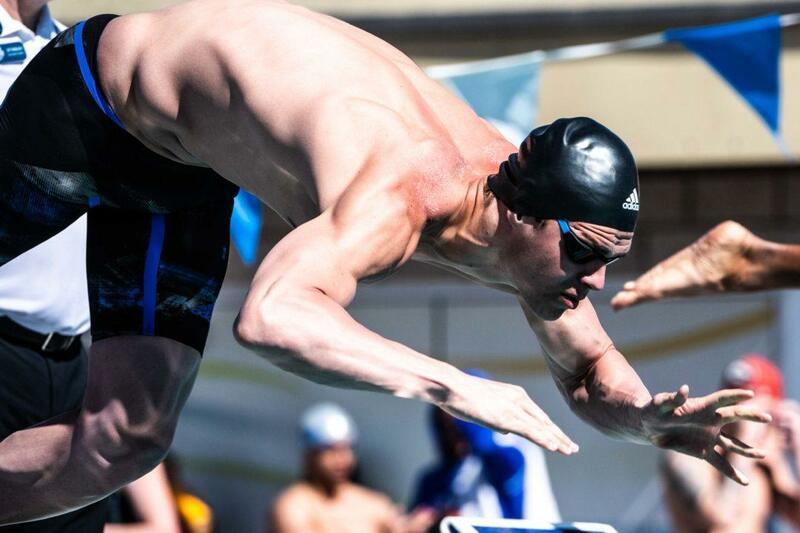 Michael Andrew‘s age group career is ending an enigma. But his adult career began last week with perhaps a bit more clarity. 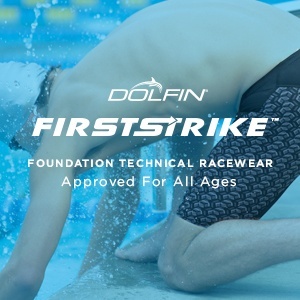 Easily the best-known age group swimmer in years, Andrew was a staple of the junior scene since age 14, breaking notable National Age Group records, breaking world junior records and even winning a short course world title in the 100 IM. But it was never clear exactly what his best events were, nor where his best shot to make Team USA’s top travel squad would come. A great breaststroker, Andrew has been lost in a crowd of great male breaststrokers. 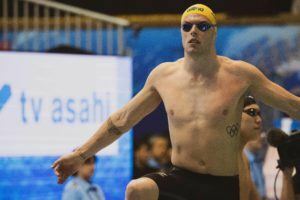 A great IMer, he’s been stuck behind first the legendary IMers who just wouldn’t quit (Michael Phelps & Ryan Lochte) and is now stuck behind the guys finally taking the spotlight in their absence, led by Chase Kalisz. But as Andrew turned 19 earlier this month, he showed what’s become more and more clear over the past year: the sprint freestyles might be his best ticket to the big leagues. The 100 free is, of course, the most obvious choice, with up to 4 swimmers getting selected to the 2018 Pan Pacs, up to 6 going to 2019 Worlds and up to 4 more going to 2019 Pan Ams. But Andrew’s biggest wins of late have come in the 50. That’s where we find our Swim of the Week. Andrew won the TYR Pro Derby in Louisville, Kentucky last weekend, beating a tough international field in grueling multi-round sprint shootout. 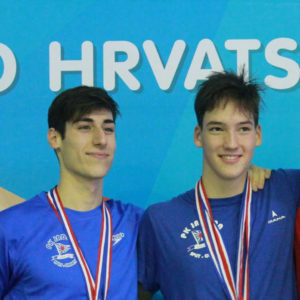 Andrew was 22.04 in the first round (long course meters), 22.03 in the second and 21.84 in the final to beat three Olympians: Brazil’s Bruno Fratus, Greece’s Kristian Gkolomeev and Japan’s Shinri Shioura. That time ranks Andrew #7 in the world this season and is the fastest American time on the list by two tenths of a second. That time also would have placed 2nd at last summer’s U.S. National Championships, sending him to the World Championships behind eventual world champ Caeleb Dressel. 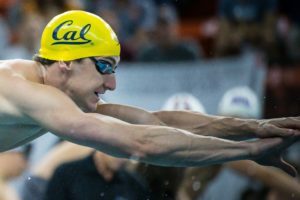 It may be Andrew and Nathan Adrian competing for that spot this summer. Adrian topped Andrew in two shootouts in Austin and Mesa, but Andrew won a head-to-head A final swim in Atlanta in between. You can find video of the TYR Pro Derby meet here. I would love to see him put together 4 – 50s in each stroke for a good 200IM. He has all the strokes, just needs to be able to finish that last 50 free, twice in same day. He usually have a decent prelim swim but then fades badly in final. Maybe he’ll narrow down his focus to 50 / 100 free, 100 breast and 200IM for trials in a few years. The kid/man is a bundle of fast twitch muscle fibers, very tall, and has a killer start, so the 50 seems logical. If he makes a long-course, World Champ Team he would also be a great choice for the 50’s of any other stroke, if they’d let him swim them. I only wish his 100 Free was a bit faster or that he could finish his 200 IM better… Maybe that will come with time. I wish that too so badly – with some tweaks to his free stroke and maybe some new adds to his training , i am sure he can be one day in the 48’s in the 100 free . The picture shows amazing ( as u mentioned ) muscle fibers in his legs , torso and arms . The future looks bright for Andrew, even if he just becomes a 50 free specialist. I would like him to also be competitive in the 100 freestyle and breaststroke.